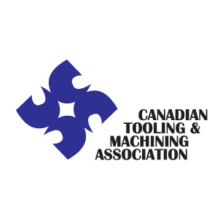 The Canadian Tooling & Machining Association (CTMA) was established in 1963 by uniting various trade associations into one strong organization that represented the “Tooling Industry” in Canada. The tooling industry encompasses all involved in the design, manufacture, repair, or assembly of tools, dies, moulds, models, patterns, jigs, fixtures, gauges, machinery, machining systems, robotics, automation equipment, machine shop products, cutting tools and all related industries and service providers including general jobbing. Membership is restricted to manufacturers and industry suppliers as associate members to ensure that the CTMA will always be devoted to manufacturing in the tooling and machining sectors in Canada. Membership has continued to increase and this has resulted in the formation of Chapters in Windsor, Toronto and Western Ontario. These chapters meet on a regular basis and provide networking opportunities for members. The NATIONAL BOARD OF DIRECTORS for CTMA is elected from the general membership. The Board represents the different industries involved in the manufacture of tooling and machine shop products. 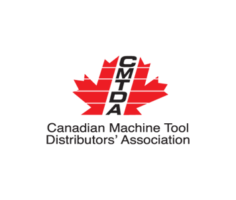 The CMTDA is a trade association dedicated to the marketing of machine tools and services in Canada throughout distributorship companies. Founded in 1942, the CMTDA currently consists of over 80 members. The CMTDA website maintains interactive reports of Machine Tool sales data from 2008 to present. The CMTDA is always accepting applications for new members. You can download the application form from the CMTDA website. Canadian Manufacturers & Exporters (CME) is Canada’s largest trade and industry association, and the voice of manufacturing and global business in Canada. Founded in 1871, CME represents more than 10,000 leading companies nationwide, and – through various initiatives, including the establishment of the Canadian Manufacturing Coalition – touches more than 100,000 companies from coast to coast, engaged in manufacturing, international trade, and service-related industries. More than 85 per cent of our members are small and medium-sized enterprises. Collectively, CME’s membership network accounts for an estimated 82 per cent of Canadian manufacturing production and 90 per cent of all goods and services exports. 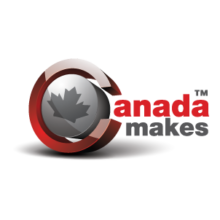 Canada Makes is a network of private, public, academic, and non-profit entities dedicated to promoting the adoption and development of advanced and additive manufacturing in Canada. The network covers a broad range of additive manufacturing technologies including 3D printing; reverse engineering 3D imaging; medical implants and replacement human tissue; metallic 3D printing; printable electronics; 3D printing with electronics embedded, the Internet of Things, Industry 4.0, and more.